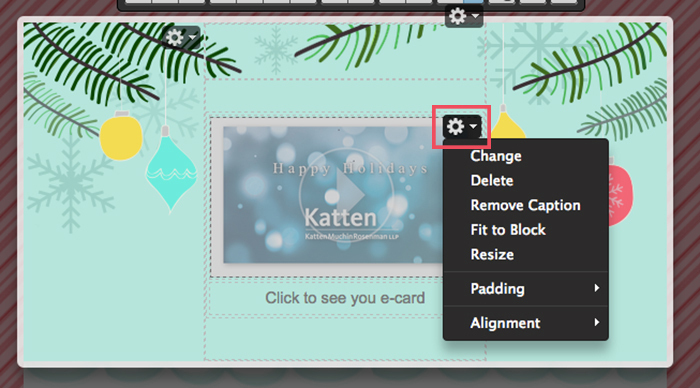 Once your e-card has been completed, we will provide you with a thumbnail (image) that you need to save and a link (URL) to your e-card. 1. 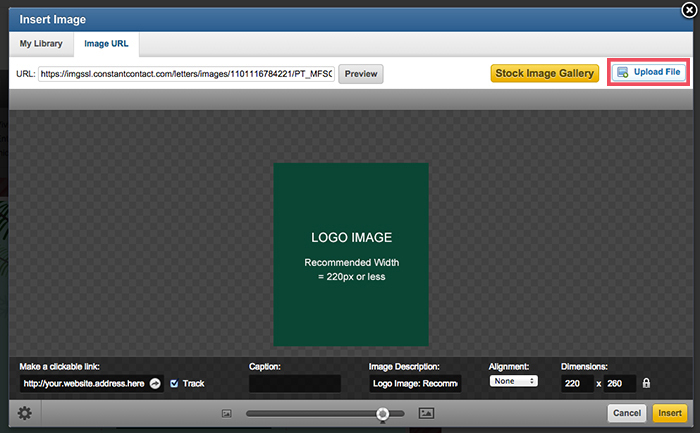 First, click on Insert > Image, or double click the area inside the e-mail template where an image is located. 2. Inside the “Insert Image” screen, there’s a button at the top right corner that says “Upload File”. There you will choose and upload the image file we provided. 3. 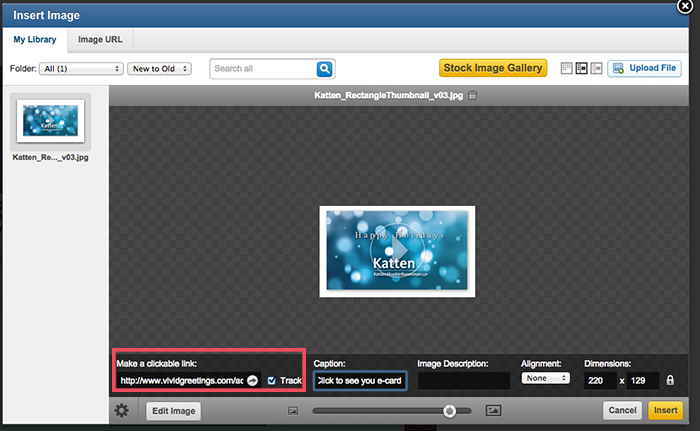 The image will appear at the top of the Images list; click on it and tell Constant Contact that you agree on using it. 4. On the next screen, the image you selected appears in the center; insert the URL we provided inside the textfield called “Make a clickable link”. 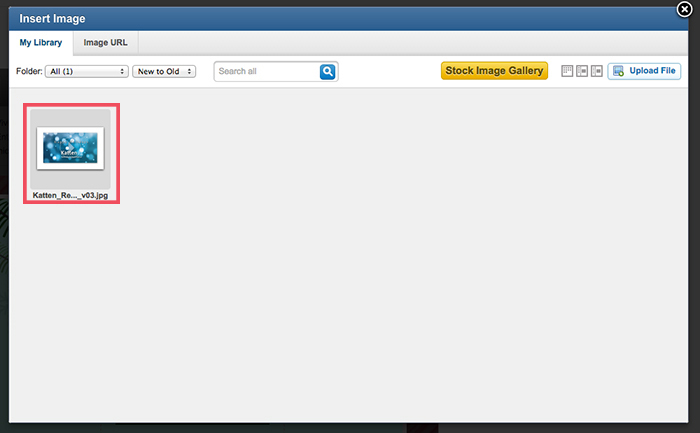 When you are done with the image’s settings, click on the yellow button “Insert”, at the bottom right corner. 5. 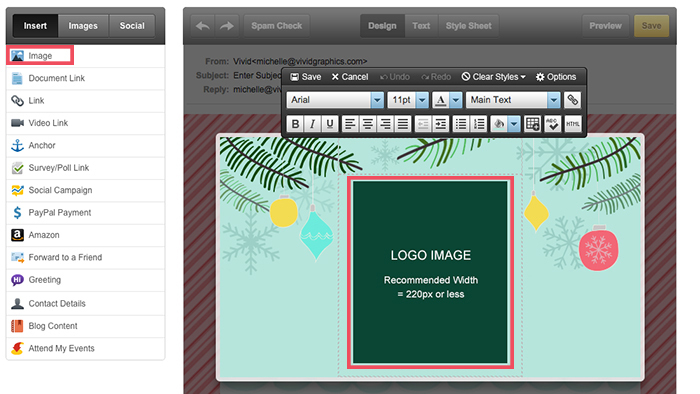 Now you can complete your e-mail template with other elements. If you want to modify the thumbnail’s properties, click on the gear located at its top right corner. 6. 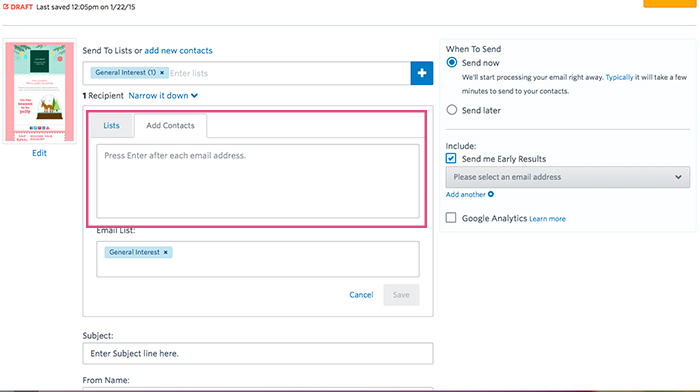 Click Continue in the top right, upload your contact lists and schedule the card to complete the process. If you have any questions, please don’t hesitate on contacting us.